Going to a digital filing system (a.k.a. “paperless”) is easy and will pay off in a short amount of time. The largest single benefit to going digital is the ability to quickly and easily find your documents when they are needed. Less time looking for documents means more time to spend helping clients. 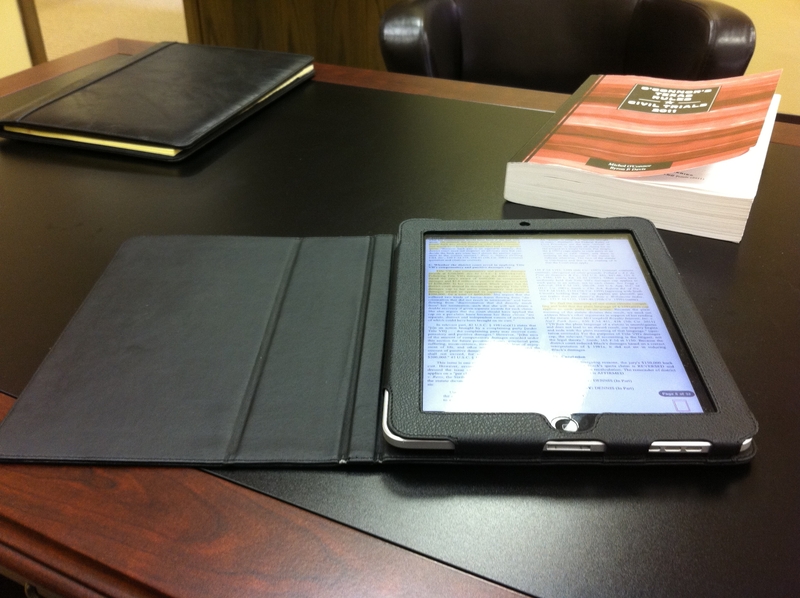 As an added bonus, the digital files are very portable and can be easily transferred to an iPad or notebook computer for easy access on the go. With a traditional paper filing system, a misplaced file means wasting valuable time tracking the file down. It also means that only one person can use it at a time. With a digital system, the file is always where it needs to be and can be accessed by more than one person at the same time. A paper based filing system is more vulnerable to error. What happens when a document is misfiled? When something has not yet found its way from the inbox to the file? In those situations, the search for the missing document involves much of the same methodology as searching for a needle in a haystack. All the other files (and attorneys’ offices) have to be combed through to find the one missing document. If set up properly, a digital system will minimize the effect of misfiled documents as all documents in the system should be word searchable. That means the physical search for the missing document that once took half a day can now take a matter of minutes by using the computer’s built in search feature. Setting up a digital filing system is easy and inexpensive. Most people think of a digital filing system as being completely different than a paper filing system. The system that we implemented is as close to a replica of a paper filing cabinet as we could make. The main folder in our system is called the “Filing Cabinet,” and each client has their own folder with sub-folders that are identical to what was in the paper files. For instance, in our litigation matters, we have a template which includes folders for correspondence, discovery, drafts, expert witnesses, information received from clients, invoices, notes & memos, pleadings, and research. All incoming paper is scanned, named according to our naming convention, emailed to the appropriate attorney and staff member and filed in the appropriate location in the system. We use a Fujitsu ScanSnap Scanner (currently costs about $400-450) and Adobe Acrobat Standard (free with the scanner) to scan all our documents to .pdf files. Acrobat has an optical character recognition feature, which automatically recognizes the text and makes the documents keyword searchable. Our documents are all named with the date and a short description of what the file contains. The date comes first, so the file is automatically organized in chronological order. (“2011.09.02 Digital Filing System Blog Entry”). After using this system for about two months, we have made some small tweaks in the workflow, but all in all, it has been a simple system that everyone in the office is comfortable using. We have found that we are spending less time searching for information and more time working to provide cost-effective solutions to our clients’ problems, which is what practicing law is really all about.